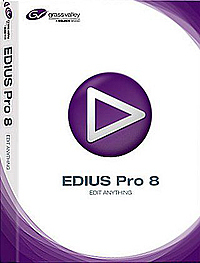 EDIUS Pro gives you the ability to handle more resolutions, unlimited tracks and real-time editing for the ability to Edit Anything, Anywhere. EDIUS Pro is the perfect finishing tool for broadcast news, newsmagazine content and studio programs, as well as corporate, documentary and 4K theatrical productions. And now EDIUS has partnered with Blackmagic Design to support its PCIe DeckLink 4K Extreme and Thunderbolt-based UltraStudio 4K capture and playback devices for the most affordable 4K workflows. EDIUS Pro also supports EDL project import/export color correction interchange with DaVinci Resolve for a new color grading workflow. Parted Magic – a package of utilities for working with hard drive-based bootable CD Linux. Allows you to perform various operations on partitions and supports a large number of file systems. Parted Magic – partition manager based on Linux, working with the LiveCD, USB-drives or over a local network. Supported by any data operations – move, delete, restore, cloning partitions, etc. Besides, Parted Magic allows you to configure the operating system, as well as access the Internet using the included dristributiv browser Firefox. Parted Magic supports file systems ext2, ext3, ext4, fat16, fat32, hfs, hfs +, jfs, linux-swap, ntfs, reiserfs, reiser4, xfs. 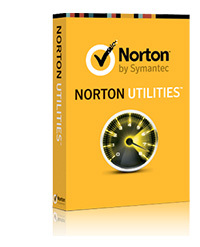 Norton Utilities 16 – The fastest way to a faster PC. Cleans up, tunes up and speeds up your PC to help it run like new. Helps your old PC run like new. Speeds PC startup. Fixes common PC problems. Repairs hard drive problems and frees up hard drive space. Finds and fixes issues in Microsoft® Windows® to prevent PC freezes, crashes and slow downs. 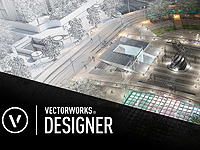 Design great looking web sites rapidly with Antenna, powerful web design software. 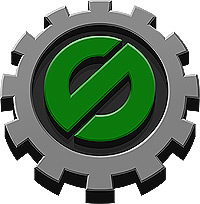 Create a professional web site to promote yourself or your company. Publish your site online or distribute as an interactive CV. Be seen – make a good impression – get noticed! You can create your own web pages and digital photo galleries in minutes, without any HTML knowledge. Antenna’s powerful editor is entirely visual, giving you pixel accurate control. Wherever you drag & drop text, pictures, buttons, animation and movies on the page, that’s exactly where they will appear in the web browser. With Dual Layout Responsive you can cater for desktop and mobile too. Make professional web galleries of your digital photos with the Photo Gallery creator. While coding may seem difficult to some, once you learn the basics, it becomes fun and gives way to the imagination to try out different things. That is why the program’s UI is designed to be as simple and straightforward as possible, as to not distract you from your coding. Speaking of which, the program’s charm lies in the fact that it supports a variety of different coding languages, so it doesn’t matter which one you know to write in, you will find this app useful for one or the other. Once you’re done writing your code, you can save it in one of the various formats that are put at your disposal. For example, saving a PHP code can be done in any format currently available, from PHP to PHP 5. Increase productivity. Prevent IP theft by insiders. Run SoftActivity TS Monitor invisibly, without slowing down the server. When people know they’re being watched (although, by default it is invisible to users), they behave better.